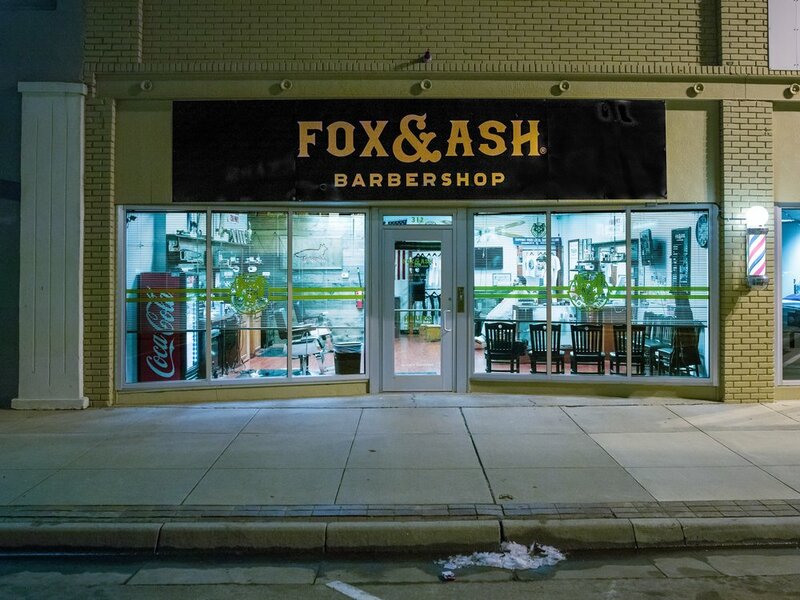 In 2014, FOX & ASH BARBER SHOP set out to bring quality men’s grooming to the Midwest. Founded by barber, Caleb Porter; Fox & Ash became a lifestyle brand with aspirations of becoming a household name. Fox & Ash focuses on being a multicultural shop, only giving quality services at the request of the customer. Fox & Ash specializes in haircuts of all hair types, straight razor shaves, hot towel services, and facial massages. Along with a quality service, you’ll only find quality products made specifically for men. Their mission is simple, provide a quality and honest service and experience. Today Fox & Ash is co-owed by Caleb Porter and Andrew Schwartz. F&A has grown to a four chair barbershop and two chair studio, located in downtown McPherson, Kansas. This location is a historic barbering landmark. Since the late 1800’s it has never been anything other than a barbershop and it continues to operate and carry out the tradition of barbering. F&A has also opened a pop up location in Wichita, Kansas that will be coming FALL of 2018. Want to become a f&A barber? We are looking for a team of barbers who have a passion for their craft and serving their community! If you are interested in becoming a part of our team, please click the button below. FOX & ASH is excited to release our new Fall 18' Line as well as our newest products. We now offer a small line of men's grooming products that not only promote good style, but a healthy lifestyle. F&A has expanded to WICHITA, KANSAS! Click the button below to learn more about our newest location.